The traditional and oversize design of the Blackstone fire pit make it a perfect match for the great American outdoors. 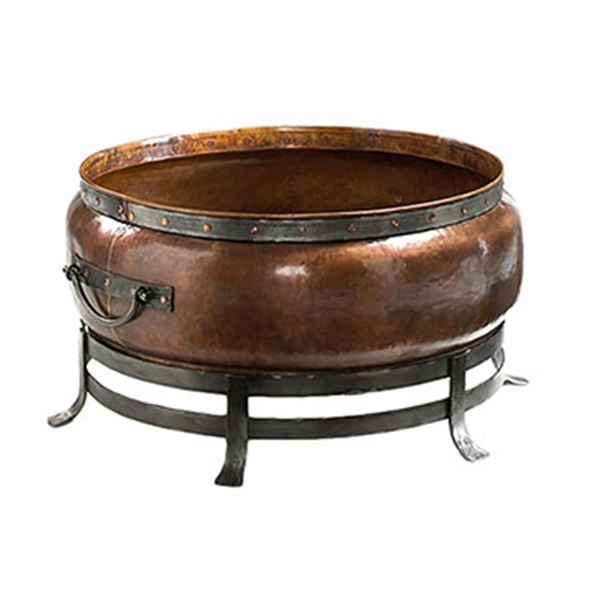 Featuring a muscular, rugged base and 100% copper bowl, this wood burning fire pit will impress with its power to radiate intense heat even on the coolest evenings. Ideal for entertaining, this fire pit can also be used as an oversize beverage tub, or transformed into a coffee table with the addition of a glass top. This huge oval fire pit makes a great conversation piece for any outdoor event.